Nariah Garcia is currently a student at Emiliano Zapata Street Academy in Oakland. 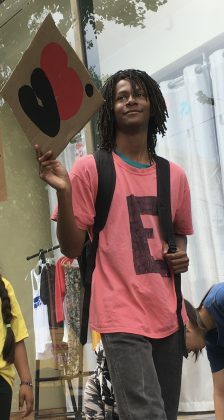 Nariah joined the New Voices Fellows to work on environmental racism and hopes to continue working on improving air quality in Oakland. 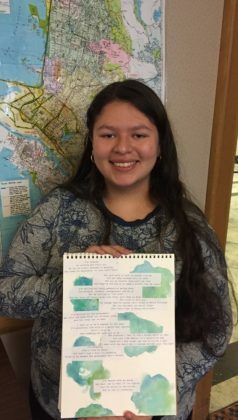 “I want to do something while I’m young and in my high school years,” said Nariah, who was one of the New Voices students who spoke at the California Air Resources Board public hearing in Sacramento back in September. 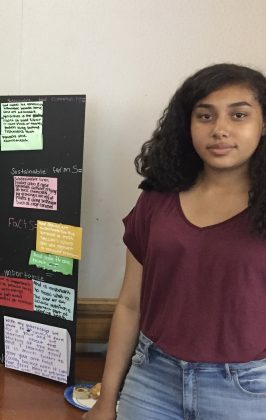 Nariah hopes to have more opportunities to speak out for environmental justice issues either in board meetings or in her community.